We’re not allowed to have TV here in the Hackaday Wonder Bunker, but occasionally we’ll pool together the bandwidth credits they pay us in and gather ’round the old 3.5 inch TFT LCD to watch whatever Netflix assures us is 93% to our liking. That’s how we found out they’ve made a show based on, of all things, one of the Castlevania games for the NES. We wanted to play the game to understand the backstory, but since it hails from the era of gaming where primitive graphics had to be supplemented with soul-crushing difficulty, we didn’t get very far. But thanks to a very impressive project developed by [Michael Birken] maybe we’ll have it all figured out by the time we’ve saved enough credits to watch Season 2 (no spoilers, please). 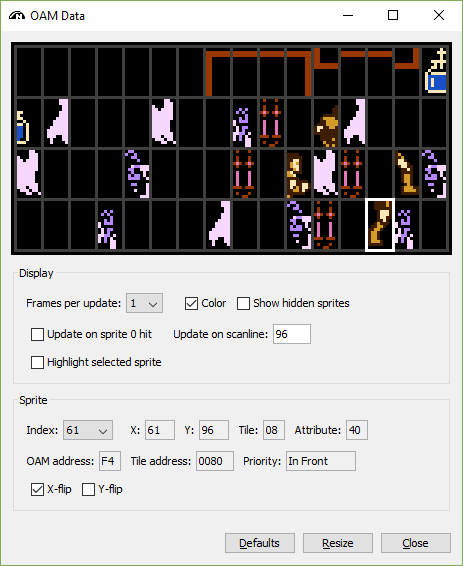 The software, which he’s quick to point out is not an example of machine learning, is an attempt to condense his personal knowledge of how to play Castlevania into a plugin for the Nintaco NES emulator. The end result is CastlevaniaBot, which is capable of playing through the original Castlevania from start to finish without human intervention. You can even stop and start it at will, so it can play through the parts you don’t want to do yourself. The PC Engine was pretty popular in Japan, but only the coolest kids in America had the US edition, the TurboGrafx16. These two systems weren’t exactly the same; the TurboGrafx-16’s data bus was flipped so the games were made to be incompatible, and the US games have a region lockout. [Kaz] looked at the existing hacks for running Japanese games on US systems, and every single one of them required modding a console. Thinking he could do better, he came up with the PC-Henshin, an adapter and CPLD that allows Japanese game to run on US consoles. To take care of the mixed up lines on the PC card connector between the US and Japanese variants, a few adapter cards are available. That’s great, but they only solve one part of the compatibility problem. The region lockout routine found on nearly every American title mean PC Engine consoles can’t run TurboGrafx-16 games. [Kaz] used a small, cheap CPLD to read the data bus, patch everything as it is read out, and turns a Japanese console into something that can play American games.